Day 7: Most underrated book. The book that I found that most people disliked but I liked a lot was Putting Makeup on Dead People by Jen Violi. This discovery sets in motion a life Donna never imagined was possible. She befriends a charismatic new student, Liz, notices a boy, Charlie, and realizes that maybe he's been noticing her, too, and finds herself trying things she hadn’t dreamed of trying before. By taking risks, Donna comes into her own, diving into her mortuary studies with a passion and skill she didn’t know she had in her. And she finally understands that moving forward doesn’t mean forgetting someone you love. Jen Violi’s heartfelt and funny debut novel is a story of transformation—how one girl learns to grieve and say goodbye, turn loss into a gift, and let herself be exceptional...at loving, applying lipstick to corpses, and finding life in the wake of death. I found that Donna had a lot of depth to her and I appreciated the mother-daughter relationship that Violi unfolded for us. Donna was still grieving over the death of her father and she was trying to look at death as something beautiful rather than something dark (which is the way her mother saw it. The book is about growing up and changing and maybe not becoming what your parents expected of you but being able to do something for yourself even if it goes against what your parents want. I think it's important for people, mostly teens, to know that it's okay to be who you are. Whether or not your parents agree you have to feel comfortable with who you are as a person. Donna needed to discover that and deal with the loss of her father. From the synopsis the book really isn't what it seems. Donna doesn't spend the whole time working as a mortician but it's about her process in becoming one, and why she decided to do that. Some didn't like that the novel was more character driven instead of plot driven so it seemed slow at times. Again, it's about Donna's growth and changes as a person. This caused people to give it a low rating. 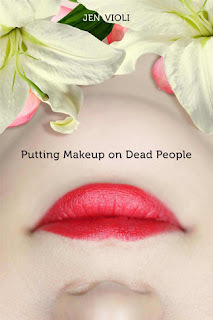 The break down from Goodreads gives Putting Makeup on Dead People an average rating of 3.67 (which is not bad!) but I do feel like it should have been given a higher rating. Have you read Putting Makeup on Dead People? What did you think? What book do you think is most underrated?